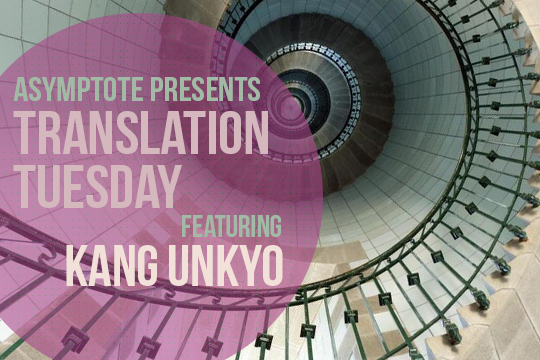 "the sunset which used to come running, when she smiled carefully"
Kang Unkyo is a veteran Korean poet whose poetry, like all great art, has evolved in response to the times. From nihilistic political verse to “People’s Poetry” of abstractions, she has refreshed many traditional forms. Known for her lyrical touch, the poet here creates a sensory pastiche of the woman in Tula.